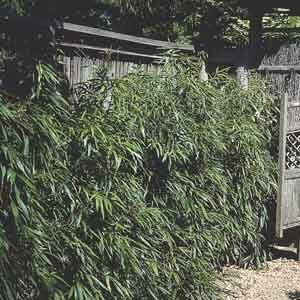 A dense, fast-growing bamboo that spreads via underground runners. Produces beautiful lance-shaped leaves that mature from green to gold. This stiffly upright variety brings vertical interest and the soothing, breezy rustle of foliage to the garden. Also known as Fishing Pole Bamboo. 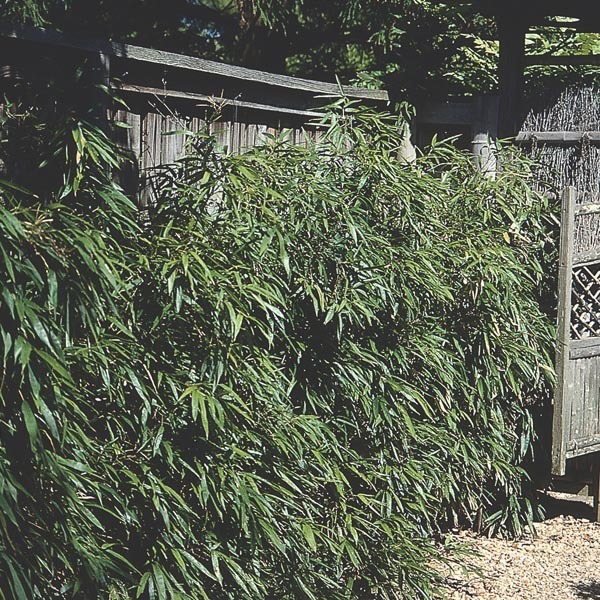 Great for privacy screening or blocking unsightly views. Makes a breathtaking specimen plant. Beautiful in shady borders and woodland gardens. Nice for larger patio containers. Place in an area protected from cold, drying winds. Best in fertile, humus-rich, well-drained soil. Keep soil moist, watering freely in dry weather.